We are a young company formed by a group of people with great experience in other sectors that endorse our commitment to offer all our customers the full satisfaction and give the best service both our SERVICE STATION and in DOMESTIC DISTRIBUTION giving service to companies, autonomous and individuals. Our mission is customer satisfaction first and give the best service possible in product quality, fast delivery maximum 24 hours and customer service. We offer only first generation products that guarantee the full satisfaction of our customers. In it we offer our clients the services they need to make their day-to-day life more comfortable. In addition to refueling fuel brands, you can buy in our store with a variety of products or stop to take a break in our cafe where you can enjoy wifi. We offer only first generation products that guarantee the full satisfaction of our customers. We negotiate with the main operators of the market to obtain the best product at the lowest price. We have a quality management system based on the ISO 9001 international standard, AENOR quality seal. 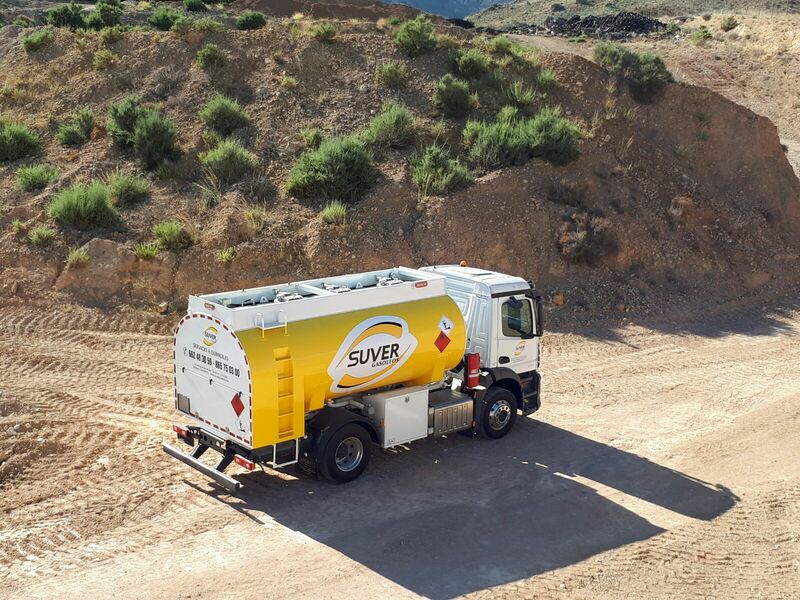 We are committed to safety and the environment, so our facilities, equipment and trucks are equipped with the latest technology, as well as all necessary approvals. We have an email so that if you are not satisfied with the service provided let us know.